Meet Macmillan at #NODAC2017 in Louisville! Visit us in the Exhibit Hall at Booth 107! 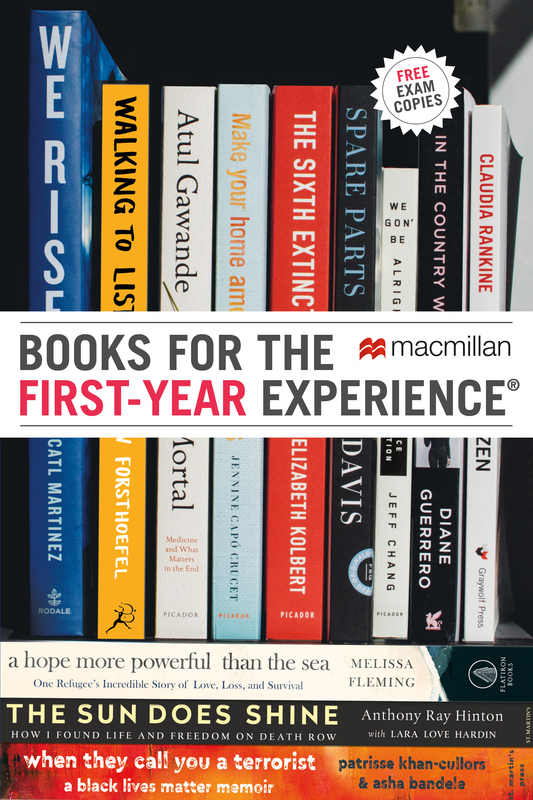 Sunday, November 5, 8:30 – 10:00 p.m.
Monday, November 6, 10:30 a.m. – 2:30 p.m.
Visit Macmillan’s booth (#107) to explore our diverse selection of books that are perfectly suited for First-Year Experience and Common Reading programs! Join us for lunch with Xiuhtezcatl Martinez! Tuesday, November 7 at 12 p.m. Lunch and author panel, with a book signing to follow at 1:30 p.m.
Xiuhtezcatl Martinez is a 17-year-old indigenous climate activist, hip-hop artist, a powerful voice on the front lines of a global youth-led environmental movement, and the author of We Rise. He is the Youth Director of Earth Guardians, which is committed to growing a resilient movement with youth at the forefront, empowering them as leaders and amplifying their impact. At the age of six, Xiuhtezcatl began speaking around the world; he’s spoken at the Rio+20 United Nations Summit in Rio de Janeiro and has addressed the General Assembly at the United Nations in New York. He’s worked locally to get pesticides out of parks, coal ash contained, and moratoriums on fracking in his state, and is currently a plaintiff in a youth-led lawsuit against the federal government for their failure to protect the atmosphere for future generations. In 2013, Xiuhtezcatl received the United States Community Service Award from President Obama, and was the youngest of 24 national change-makers chosen to serve on the President’s youth council. His work has been featured on PBS, Showtime, National Geographic, Rolling Stone, Upworthy, The Guardian, Vogue, Bill Maher, Skavlan, CNN, MSNBC, HBO, and VICE, among others.